Many of us are familiar with the national banks that stretch across the U.S. These include Bank of America, Wells Fargo, Chase and others. While often times we assume banking with the big banks is the best, that is sometimes not the case. During the recent financial recession, a lot of pressure came down on smaller, local and regional banks. No matter what bank it was, they all saw their stock price take a nose dive. 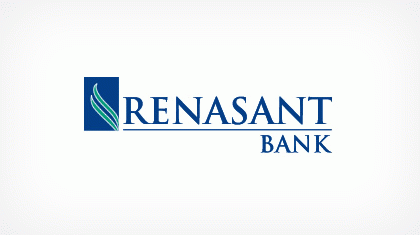 Renasant Bank began over 100 years ago in Mississippi. Throughout it’s century long existence, the bank has continued to expand over the years. Today, they have more than 175 locations spanning across the Southeast. States where they operate include: Mississippi, Alabama, Tennessee, Georgia and Florida. Renasant Bank is a full-service bank that offers everything from checking and savings accounts to loans and wealth management services. This Renasant Bank review illustrates many of the benefits one can receive from a smaller, regional bank versus a national bank. Below are the three biggest benefits received from this regional bank. Benefit 1: Free Mobile Deposit: Today the popularity of smartphones have made mobile banking a must. Nearly every bank has an app where you can access your banking services. The development of the smartphone led to the creation of mobile deposit. When mobile deposits were first introduced, many banks charged their customers for this service and some still do. However with Renasant Bank, mobile deposit is completely free and deposits made before 6:00 PM can usually be expected to post to your account the next day. This has become the most popular banking service of the modern day and has led to branch closings which ultimately leads to lower costs for banks around the country. Benefit 2: ATM Fees Covered: We are living in a country where cash becomes less of a necessity each and every day, but there are still many places that prefer the green money to the plastic. The main reason for this would be that businesses don’t have to worry about paying the credit card processing fees. With the existence of all-cash places, the need for it is still out there. While you can often times withdraw money from a grocery store or your bank’s branch for free, it isn’t always the most convenient. Because of a lack of regional and national presence, many smaller banks reimburse you for such fees and Renasant Bank is no different. It is always reassuring to know that when are in a crunch and need cash ASAP that you won’t be subjected to the sometimes $10 fee. Benefit 3: More Personal Service: Some individuals are inclined to support the communities they live in. They feel a personal obligation to help out their local economy. This goes for grocery stores, small business and also banks. When you bank with a smaller, more regional bank, you are more likely to build a personal connection with the people in that branch. Thus, often times they will work with you on various things such as loans that bigger banks sometimes won’t. Banking is an essential part of every day life. Maybe you are younger and looking to open a bank account. Maybe you feel a lack of trust or professionalism with your current bank. Looking into smaller banks like Renasant can be a great option for many.